BitQuick is a Bitcoin marketplace that allows buying and selling of Bitcoins using cash or SEPA transfer. 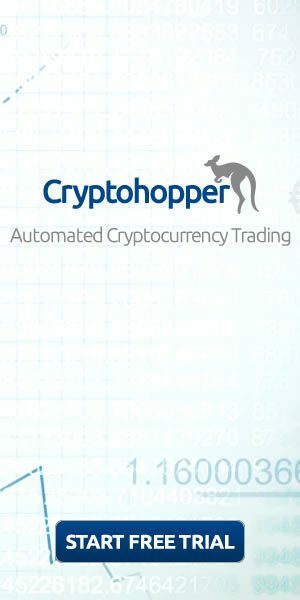 They employ a straightforward and idealistic approach to buying and selling coins that involve a buyer depositing cash at the seller’s bank account and within three hours of uploading the deposit receipt, the Bitcoin is sent. With BitQuick, one can buy Bitcoins with ease and without involving a middleman. 1) How Does escrow Protect Sellers? 2) Can I use BitQuick to buy Bitcoin Online? 3) Is it safe to use BitQuick? 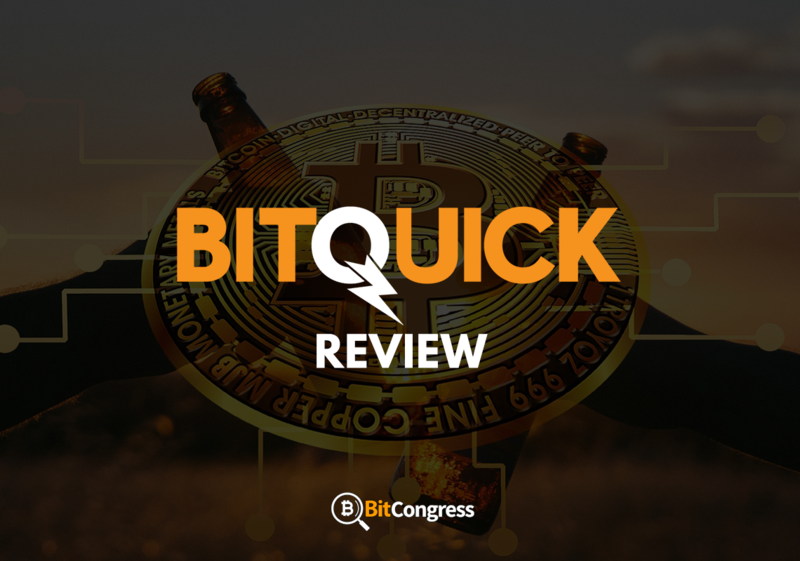 BitQuick was founded in the year 2014 by an engineering student, Jad Musablat, who felt the need to form a more legitimate and secure platform for Bitcoin exchange after being scammed of his money and facing the dangers of not using a 2-factor authentication for securing his account. Due to its massive popularity, BitQuick has escalated into a prominent platform for users to buy and sell Bitcoin. During an interview, when asked about his vision for Bitquick, Jad replied, “For everyone else, we are building a platform for people that believe in a globally connected digital economy. I hope that Bitquick can provide users to quickly and safely jump in and out of the Bitcoin ecosystem from anywhere around the globe.This will allow Bitcoin to continue breaking into the mainstream, and allow the everyday consumer to take advantage of the money saving power and connectivity that Bitcoin offers”. Sign up to BitQuick here! An easy way to convert cash to Bitcoin and Bitcoin to cash. Sellers can unload their Bitcoin at rates higher than market rates. Unlike other services, you don’t need a credit card or bank to buy Bitcoin.All that’s required is cash. Easy to use and great for beginners looking at the world of Bitcoin. Users are then asked to enter the amount of Bitcoin they plan to purchase, their email and the BTC address. The user then gets to choose a bank from the list of banks shown, each with a corresponding price per Bitcoin shown. The user will be notified the bank account details to which the payment must be made, via a confirmation email. The amount can be paid at the branch of the desired local bank, all that is required is to fill out a slip and handing the bank your cash. Of course, it is crucial to only pay in cash. When the money is sent, the seller’s account is automatically credited. Any other payment method would take too long and the seller wouldn’t be able to confirm receipt within the agreed three hours. This is the reason why cash payments are always encouraged. The buyer must take a photo of the receipt and upload it to the link provided in the confirmation email sent by BitQuick, once the deposit is made,. This process is required to prevent any disputes with sellers when claims of not receiving the money are made. Once the seller receives the receipt, the required amount of Bitcoin will be transferred to your wallet with a small 2% fee. BitQuick offers a time period of three hours between when the receipt has been uploaded and the coins being released. More often than not users are in for a pleasant surprise when this time frame becomes shorter and they instantly receive their bitcoins. Complete the sell form on BitQuick. The seller sets the amount of BTC he plans to sell, as well as the minimum size of transaction allowed. The requested price can be set to follow either Bitstamp or Bitfinex. There’s also an option to the set the price above or below the average price. On providing this information, a personal escrow address of the seller is introduced. The order will be complete when the seller sends the required amount of Bitcoin to the address mentioned and the order will then appear live on the BitQuick platform. When an interested buyer places a hold on the amount of Bitcoin, the seller receives a confirmation email containing two links- one to confirm the deposit and release the escrow and another one to dispute the deposit. The seller is obligated to respond within three hours of receiving the confirmation email and the deposit should arrive instantly since it is paid in cash. Upon confirmation of cash receipt from buyers, BitQuick releases the bitcoins to the buyer. An added advantage for the sellers is that they can sell at their own price, which means they can buy Bitcoin at a certain price and sell it at a profit on BitQuick making it a highly desirable option among sellers looking to make a profit. Personal Account safety: Users do not need to register to trade using BitQuick. Buyers provide their Bitcoin address during the checkout process which is used to fulfill the order once the payment is made. Sellers need to create a PIN using which they can accept, modify or cancel orders. This ensures personal detail confidentiality of both buyers and sellers to a maximum degree. Safe storage of funds: BitQuick must be confused with a Bitcoin wallet. Instead, it is recommended to transfer all newly purchased Bitcoin to your personal wallet. A third party escrow service is used to store the Bitcoin when a seller creates a listing and no information is made publicly available about their security protocols. Company legitimacy: BitQuick has a great reputation among the Bitcoin users and has immense popularity in the market. While certain complaints have been made about the fees and over price, they are vastly subdued by the praise about its performance and unique functionality. Back in 2013, when they were known as BuyBitcoin.us, they made an announcement post on the BitcoinTalkForum and were well received by the community. Private keys for escrow addresses stored offline which ensures that no Bitcoin can be lost during a potential server compromise. Although there is no fee for selling at BitQuick, there is, however, a 2% fee for buying Bitcoins. The 2 % fees are deducted from the Bitcoin amount meant to be released. While this is somewhat high for cash purchases of Bitcoin, but the speed and reliability make it worthwhile for some. Although this policy is clearly stated on the website’s FAQ section, it has garnered a few complaints on review websites. If you plan on selling Bitcoin, BitQuick is a great platform. You can often sell your coins for higher than market rate and moreover, they do not charge any selling fees. This makes BitQuick.co the cheapest way to convert cash to Bitcoin in one day, or vice versa. They only employ cash deposit or SEPA transfer is encouraged at BitQuick. No other current payment methods are being accepted at BitQuick, although the word is that money order feature may be implemented in the future. Orders must be placed within 3 hours of the buyer hold being placed. Having 3 or more unpaid buyer holds within a 72-hour time frame will result in immediate ban from the service. Use of ACH, wire transfer or any other payment method not listed are strictly prohibited. BitQuick operates in 49 states in the US, New York being the only place state not supported by BitQuick. They were forced to stop service in New York due to BitLicense. Most services are acquainted with holding your funds and transferring them to your wallet at your leisure. However, BitQuick plays it different from the others. How may you ask? Buyers do not have to send their purchased Bitcoin to their wallet. It is automatically transferred when the seller releases the funds. Sellers will need to send Bitcoin to BitQuick’s escrow service after they’ve placed their listing. Once the transfer has received a confirmation from the network, the order will go live on the BitQuick website. Most other services call for unnecessary hassle and trouble from both parties. BitQuick employs a process that minimizes the transfer between your wallet thereby leading to less confusion between buyer and sellers. This provides for an excellent user experience and also cuts down on major network fees. The website has a very clean and easy to use interface that has resulted in generating positive user reviews online. Videos that explain the trading process is an added bonus. The website is responsive and looks good on a mobile device. BitQuick has earned enormous praise for being highly responsive and client friendly. An online form is available to contact them or users can email at [email protected] or can be contacted at the given address: 9435 Waterstone Blvd #140, Cincinnati, OH 45249. BitQuick lets buyers and sellers to agree on trades and sets no limits.There are usually many offers for different types of purchases in the various bank branches. BitQuick’s buy and sell offers are publicly available and are visible in their order book at any time. 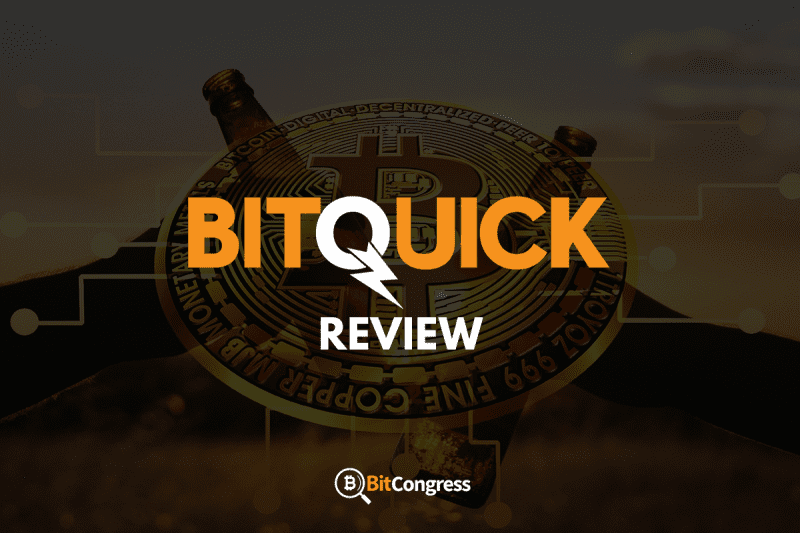 BitQuick’s goal is to deliver Bitcoins to buyers at a fast rate and in some cases, customers have received their Bitcoin within an hour of making the payment. As a third party escrow agent, there is no limit when it comes to buying and selling Bitcoin and BitQuick lets buyers and sellers agree trades. As such, all buy and sell orders are available publicly. The BitQuick escrow protects sellers by holding on to their Bitcoin until they confirm that payment has been made by the suggested buyer into their bank account. This prevents any cases of fraudulence. Online purchases are not available. To buy Bitcoin, one must visit the website and select an order from the current order book. BitQuick is considered safe to use by the vast majority of its client base. For added security, the website uses BitGo’s multi-signature wallet infrastructure which ensures Bitcoin deposits for over $250,000. Full disclosure of all dealings taking place on the website is provided since the auditing system displays the amount of Bitcoin held in escrow. The below table can help summarise the entire review and draw attention to the key features of BitQuick. In conclusion, BitQuick has stood the stand of testing times and proven to be a good exchange for those who wish to deal with cash. Some users report selling hundreds of BTC in the matter of a few minutes which is a pretty sweet deal considering the fast-moving lives we lead. As a seller, since there are no fees and you can set your own price, it is a dream scenario.